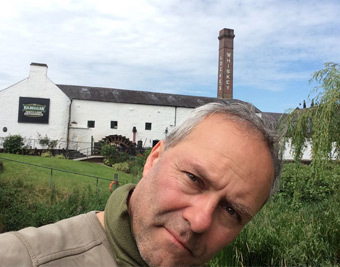 By this week Wittenborg writer Ben Birdsall will be almost halfway through his tour of the whiskey distilleries of Ireland – as research for the sequel to his well-received travelogue to the distilleries of Scotland, “Whisky Burn” which was published by Wittenborg University Press (WUP). As before, Birdsall, is traveling with his trusty 1979 Vespa scooter. He embarked on 15 July from Dublin on a journey of about 1600km and will end again on 4 August in the Irish capital, following more or less a coastal route. 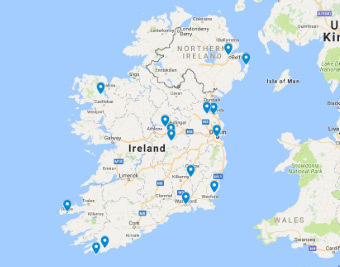 Aside from visiting distilleries Birdsall will also give a talk on the morning show of a local Irish radio station, Dundalk FM, on 1 August when he passes Dundalk town which is halfway between Belfast and Dublin. The distilleries showed great enthusiasm about his visit and his book. “What a great project and wonderful way to spend the summer in Ireland. 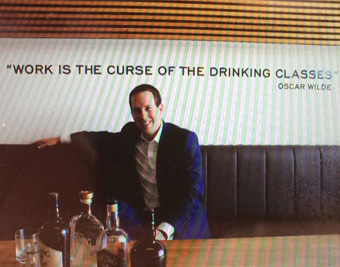 It would be great to get a hard copy of your book!” was the response from one Sally-Anne Cooney, the director of Harvest Distilling and Brewing Ltd. Some of the towns Birdsall will cover include Cork, Limerick, Galway and Belfast. 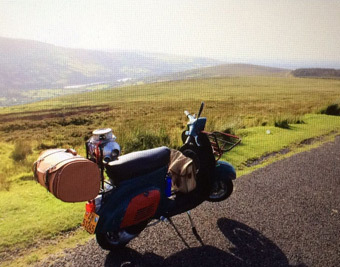 “I’ve been making Vespa trips like this for years now - in Italy, Switzerland, last time in Scotland, and now Ireland, so it has become a sort of tradition,” Birdsall explains his preferred mode of travel.